Ministers say the demand for a million new school places in England will be met. A review is launched to examine how the NHS deals with complaints. 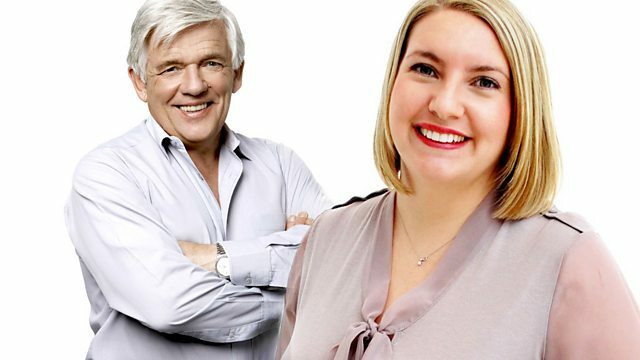 Anna Foster and Peter Allen with the day's news and sport. Ministers say the demand for a million new school places in England will be met. A review is launched to examine how the NHS deals with complaints. It will be run by Ann Clwyd MP, who decided to take action after the death of her husband in hospital. And Will Carling tells Peter and Anna he expects Wales to deny England in the Six Nations decider. "A local legend" of Chepstow. Alfie died recently aged 19. Brydon on 6 Nations: "The atmosphere will be fantastic"
6 Nations fans: "We'll see it all from the awning"